Billy Beane has pick- pocketed some of the best power hitting prospects from other clubs that may just need a chance to prove their metal with some big league At – Bats. His club has roared out of the gates – being in the top 5 in most offensive and defensive categories so far. The team has put up a 120 – 71 Record since starting last year 23 – 32. Beane loves high OBP, HR hitting, towering behemoth of guys to be on his team. Sprinkle in a few savvy winning veterans on 1 or 2 Year Deals – plus a Cuban Superstar signed for $9 MIL a year when no one was looking – and you have the definition of an instant contender – ADD WATER AND STIR! Beane loves the OBP stat more than anything else. They made the movie Moneyball based on this – and sabermetrics is an extension of his thought process – kind of melded with Bill James mathematical sense. The A’s GM is completely against signing Pitchers to long term contracts once they hit the age of 30 – or have finished their service time clock in order to make it to Free Agency. Of course Beane doesn’t dole out the big salaries to any of the players that hit this service clock. You just need to look at the following players: Jason Giambi, Barry Zito, Johnny Damon, Mark Mulder, Matt Holliday, Dan Haren, Tim Hudson, Miguel Tejada to name just a few. The 2012 offseason included the Oakland team showing the door to Starting Pitcher Brandon McCarthy as a Free Agent – and also bought out Stephen Drew. McCarthy has turned in a 2 – 4 Record – with a 5.00 ERA. Not a really good bargain for a 2 YR/$16 MIL deal. Drew is hitting for a 3 Slash Line of .233/.313./.722 – again not a great bargain for a 1 YR/$9.5 MIL deal. Instead, he has shopped at bargain basement price for PED boy Bartolo Colon ($2 MIL salary – and $3 MIL salary in 2013) – he has come up with a 21 – 11 record, and a 3.17 ERA. The year before that, they let David DeJesus, Josh Willingham leave the nest – along with trading Gio Gonzalez and Trevor Cahill leave as they were eligible for heavy pay raises. In exchange for the pitchers, the club received Jarrod Parker, Tommy Milone and Ryan Cook. Even with Cespedes struggling for BA in 2013, the club has played .620 with him in the lineup for those two years. He changes the complexion of any lineup and play about .430 baseball without him. Coco Crisp was signed to a 2 YR/$10.75 MIL deal for 2010 and 2011, he then was re-upped for a minimum of 2 YRS/$14 MIL – but I am betting with a 3 Slash Line of .274/.365/.820 – with 46 Runs in 61 GP for 2013, that his $7.5 MIL Team Option will be picked up for 2014. Crisp has been a great defender, team leader, and catalyst to their offense the last two years. He was signed when he was not on anyone else’s radar. As for the pitchers, Tommy Milone has gone 20 – 17 – with a 3.90 ERA for the A’s in two years, while making 495 K – and not being Arbitration Eligible until 2015 – and is ubder club control until 2018. Jarrod Parker has gone 19 – 14, with a 3.70 ERA – he is Arbitration Eligible in 2015 – and a Free Agent in 2018. Yes Gio Gonzalez has gone 26 – 11, with a 2.93 ERA, yet he has earned $9.5 MIL in the last two years – but will earn and additional $31.5 MIL from the years of 2014 – 2016. Trevor Cahill is now 3 – 10 – with a 4.66 ERA in 2013, and makes $5.5 MIL in 2013, $7.7 MIL in 2014 and $12 MIL in 2015. The two new A’s are 39 – 31 – with an ERA just around 3.75 ERA – and roughly make $1 MIL a year combined. The two 2011 A’s are now 29 – 21, with an ERA of around 3.50 when combined made around $18 MIL with Arizona and Washington respectively. You may add Ryan Cook (also picked up in the Gio Gonzalez deal), who has been one of the better set up men in the Game – Appearing in 106 games and carrying a 2.32 ERA for the Bay Area club, and you are seeing what we are talking about in the trading strutcture. This is just one example – Several more deals follow the same pattern. Beane has seen his club have one of the top 10 best records in baseball since the start of the 2000 year. They draft awesome Starting Pitching – and tend to trade them at their highest peak – for another young pitcher – and additional power hitting prospects that may have fallen on hard times on other teams. Oh yeah.. The Athletics also took an asset of the Gio Gonzalez trade – in A.J. Cole – and traded him back to the Nats in a 3 way deal that landed John Jaso. Jaso has a 3 Slash Line of .276/.377/.745 -n and is playing a solid role as a Platoon Catcher with Derek Norris (also acquired in the Gonzalez trade). The club did send Blake Treinen and Ian Krol (who has seen some duty as LHP Reliever with the big club for the Nats). This is what Beane does. He takes his Starting Pitchers – and trades them at the point they begin to become expensive – and flips them for younger style versions of the departing guy, plus he usually acquires a few additional assets. In the early 2000′s, the team featured three ace pitchers in Barry Zito, Tim Hudson and Mark Mulder. Billy Beane had to let each of them leave Oakland because they couldn’t pay them the kind of dollars needed to secure them long term. With the exception of this year, Barry Zito has not lived up to his 7 Years and 126 Million Dollar contract he signed with the San Francisco Giants since leaving the Athletics. Despite a 15 – 8 year for the SF club last year, he holds a 62 – 75 ( .453) record for San Francisco lifetime with a 4.48 ERA. Zito struggles to pitch anywhere but AT n T Park. He was 102-63 (.618) and a 3.55 ERA with the A’s before leaving at the age of 29. 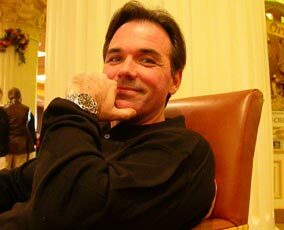 The guy made 18.25 Million in his Oakland days and has already pocketed 99 Million with SF. Mark Mulder never was the same pitcher in the NL and was out of baseball four years after being traded to St. Louis. His A’s career had netted him an 81-42 (.659) record with a 3.92 ERA. He was only 22-18 (.550) and a 5.04 ERA with the Cardinals before retiring. As you will read in this article below, the franchise made a worthy trade in returns for this man. Mulder made 25.3 Million in his contract with the Cardinals after making only 8.4 Million with the A’s. Tim Hudson on the other hand, has been one of the better pitchers in the NL for the last decade, still towing the hill for the Braves at the age of 38. He was 92-39 (.702) with a 3.30 ERA for the A’s. He has since gone 109 – 72 with a 3.57 ERA for the Braves in 8+ years. He definitely has been worth the $ invested (84.5 Million plus another 9.0 Million in 2013.) Here is the thing, he only made $4.5 Million in his 6 years with Oakland. The sandwich pick they landed for Hudson’s Free Agent signing was Travis Buck. Unfortunately Buck only played 170 games for the franchise, hitting .250 with 18 HRs and 71 RBI in 571 AB. 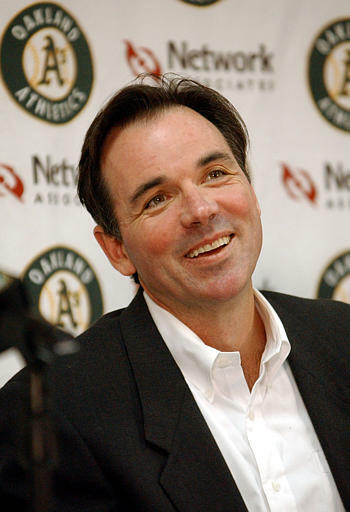 Total Record (Hudson, Zito and Mulder for 3 other teams is 193 – 165 (.559) and they have made 208.8 Million away from Oakland, whereas they were 275 – 144 (.656) and made a total 33.15 Million Dollars with the Athletics. I would say, Beane made the right decision in not signing this whole train of transactions. 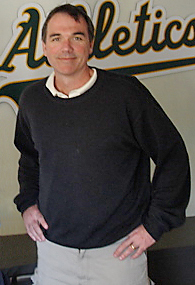 For Mulder, he A’s ended up with Brett Anderson, Daric Barton, Eric Sogard, Chris Carter, Michael Taylor and (Shane Peterson with AAA Sacramento), plus only lost Huston Street and Mark Mulder for it (and Connor Robertson-Minors), as pieces of the initial Mulder deal. Brett Anderson has already won 26 games versus 29 Losses, but has a 3.74 ERA. The team, also used Chris Carter to net them Jed Lowrie for 2 years of service. That has been a pretty even trade in power for BA and OBP, with the slight edge for Lowrie. With Daric Barton off AAA, the only thing separating Freiman from a full-time First Base job is Brandon Moss. But then again, there is always the DH position. Not only that, but because Beane was able to figure out the Astros 25 Man Roster before they could, the trade he baited them into also forced the club to place Rule 5 Draft Pick up Nate Freiman on waivers when their roster was bunched up. 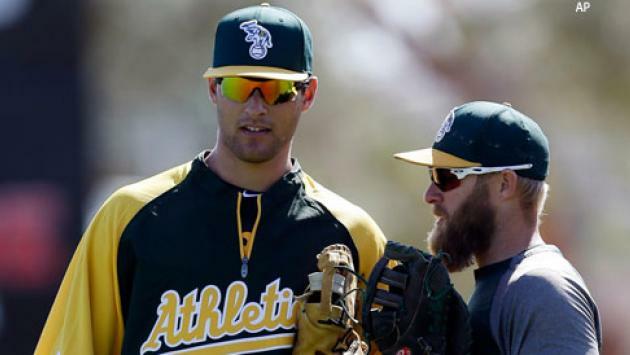 The Athletics were right there to claim him – having a Roster Spot for the 6 FT 7 behemoth – and essentially – Freiman is kind of added the the Carter and Lowrie trade. They have the room to carry him on the Roster for the whole year. So far in 2013, he has an OPS of .751 – and has knocked in 17 RBI in just 106 AB. Sogard is contributing to the club too. Michael Taylor, Shane Peterson and Daric Barton are still with the PCL Sacramento River Cats after all of them struggled in limited AB. The trio are doing fairly well. While they are not with the big team – they provide organizational depth. In the next few paragraphs are some of the Beane deals and transactions not listed necessarily in the Roster Tree I did for both of the Pitchers and Hitters. After reading check out those links too. We are talking about dozens of deals that have kept the team competitive aggregately. 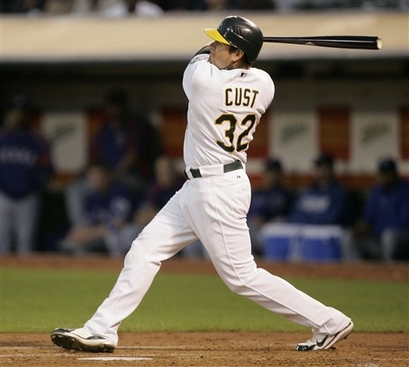 Jack Cust hit 8 HRs in his 1st 13 Games for the Oakland A’s. He was amongst the league Leaders for HRs, Walks and Strikeouts during his 1st 3 years with Oakland. When it looked like his days were numbered in the MLB – Beane let him walk. Jack Cust: .247/.381/.839 – with 97 HR and 281 RBI in 1738 AB. He also Walked 377 times in his Oakland days. Yes, he Struckout 623 times, but he was the clubs leader for the years he was there in several power categories. 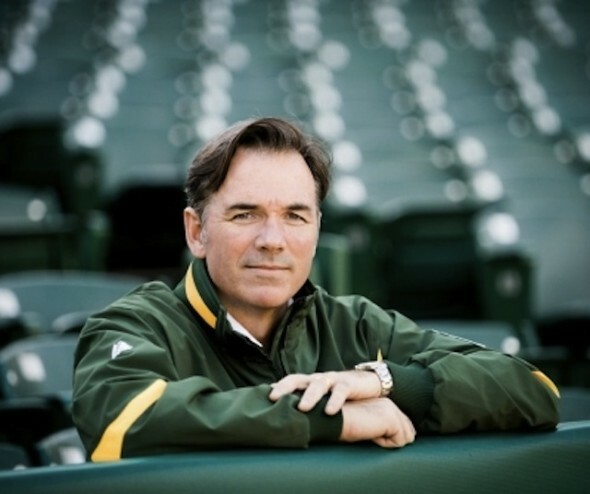 Beane walked away from Cust – even though he was the clubs leader in power three years in a row, and other than a brutal half season with the Mariners – he has failed to be a factor in the MLB again. Cust was purchased from the Padres – and only made just a shade over $6 MIL in total salary. Frank Thomas: FA signing steal of the year: He signed the Big Hurt to a 1 YR/$500K deal in 2006. Thomas finished 4th in AL MVP – with a 3 Slash of .270/.381/.926 – with 39 HRs and 114 RBI in just 137 Games Played. Beane wouldn’t give out the big $ – and the guy left to Toronto for a 2 YR/$18+ MIL deal. He hit for 26 HRs and 95 RBI for the Canadian club in 2007, before being released after 60 AB in 2008. 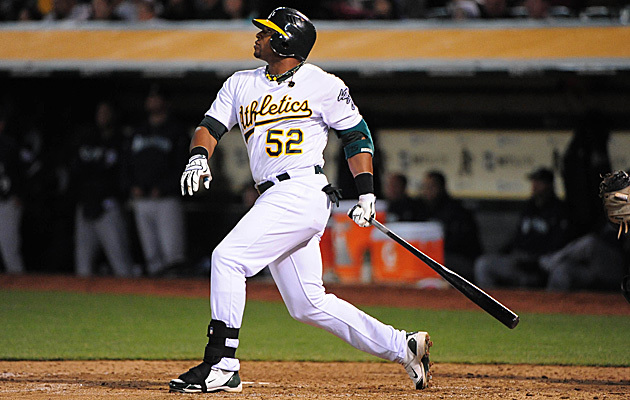 Thomas came back to finish his career in Oakland – with a .751 OPS – with 5 HRs and 19 RBI in 186 AB in 2008. The A’s once again paid the “Big Hurt” the league minimum. Beane traded away Kurt Suzuki‘s contract – when it looked to be killing the teams finances. The club then received great play from Derek Norris and George Kottaras. He picked off Grant Balfour from Waivers. He signed Brandon Moss as a Free Agent. He traded Nick Swisher to Chicago for Gio Gonzalez (turned into Jarrod Parker, Derek Norris, John Jaso in equivalent for Gonzalez Blake Treinen and A.J.Cole) and Ryan Sweeney used packaged with Andrew Bailey for Josh Reddick. Walking away from Miguel Tejada saved them $82 MIL. Now the 1st 3 years away from Oakland he raked like crazy, and he had one decent year in Houston, however he was a perennial 30 HR, 100 Runs and 100 RBI guy in the A’s organization. The A’s only had to pay him $13 MIL – and half of his career totals were made with the Oakland franchise. Jason Giambi had similar numbers in his run with the Yankees (.260/.404/.925 with 209 HRs and 604 RBI) as well as the (A’s .300/.406/.928) – only costing the A’s $11 MIL in salary from 1995 – 2001, where he made $113 MIL with the Yankees from 2002 – 2008. You also have to take out Giambi atrocious 268 AB in his second stint with the club in 2009. Losing Jermaine Dye to Free Agency (5 YRS/$36 MIL) to the White Sox. Dye hit for a 3 Slash of .278/.344/.869 – with 164 HRs and 461 RBI in those 5 seasons – including a World Series year. The problem was that Dye had 59 RBI in 61 Games Played once he was acquired for the Trade Deadline in 2001. He was given a huge deal based on those 2 months. Between that deal and the long – term deal for Chavez, Beane has learned his lesson on big contracts. Jason Giambi being signed to a FA deal of $4 MIL in 2009. He hit under the Mendoza Line and was released. Ben Sheets was signed to a 1/$10 MIL YR deal in 2010 – and only won 4 games. Was still considered a smart risk. Eric Chavez made $75 MIL off of the team in 13 years, although he spent the last 4 years hurt. The guy still won 6 Gold Gloves and had multiple 100 RBI seasons. Hardly a bust, but perhaps this contract scared Beane off of others for length duration. Beane is smart to always sign a veteran player on a short term deal of 1 YR. He has signed players such as: Frank Thomas, Mike Piazza, Shannon Stewart, Hideki Matsui, Mike Sweeney and Nomar Garciaparra over the last several years. Most times, they have produced enough to prove a good signing from the beginning of the year. Here is the thing. He never makes a mistake that punishes the team for years. Dye and Damon were only around for awhile anyway. They both played to great value in their further contracts. Angel Berroa and A.J. Hinch going to KC for Damon, did not cost them a fortune in lost talent either. Also in the trade that saw the A’s pick up Damon, they sent Ben Grieve (who was never the same after leaving the Bay Area). The Athletics did not lose any sleep over the fringe Major Leaguers they gave up to acquire Dye. As Beane, you also couldn’t have forked over any more cash for the man. He was a 3 YR/$30 MIL deal that saw him feature a 3 Slash Line of .252/.326/.770 – with 64 HRs and 245 RBI with Oakland. Carlos Gonzalez is a by-product of Coors Field mostly until now – and never would have hit for those numbers for the A’s. Since he was acquired as part of the Mark Mulder tree, the club is still way ahead on this one if you read. Don’t get me wrong, CARGO is still one hell of a player – and is showing signs of maturing as a road hitter in 2013! Matt Holliday’s cost 7: YRs/$119 MIL to resign – simply too pricey for the club. They have fared well in his departure with Reddick, Moss, Carter and Jonny Gomes. Reddick now is the permanent RF. In the Roster of Transactions, the Mulder Tree did produce players that are still playing for the A’s. Hudson – while stalwart in a Braves uniform still had better days in a Athletics jersey. And well Zito.. 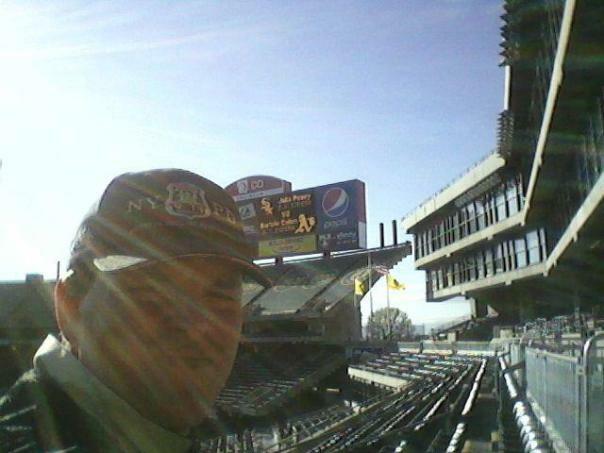 The A’s would have never recovered like the Giants did from that contract fiasco. Many other awesome trades and theories of Beane have been dissected in these 4 links. Check them out. The baseball world was caught by storm when Beane signed Cespedes. (The team is 122 – 75 with Cespedes in the lineup (.619) and 21 – 28 (.429) without him since the start of 2012). Just as they were surprised at Crisp signing as an FA with the club. Beane continues to have the A’s compete on a $60 MIL Team Payroll – which is 2 or 3 x less than the best teams in the league have. The key: Beane never gives away assets in trades that have performed better on other teams more than his club. He knows when it is time to sell high on a player – or simply walk away outright – and invest that same money in multiple Veteran Free Agents. The Oakland GM also never signs Starting Pitchers to crippling, partly because of teams finances – but mostly because young talent can bring you more bang for the buck. Posted on July 3, 2013, in MLB Payroll and Contracts, MLB Teams: Articles and Analysis, The Rest: Everything Baseball and tagged A.J cole, a.j. cook, AL West, Atlanta Braves, barry zito, bartolo colon, ben sheets, Bill James, billy beane, brad peacock, brad pitt, brett anderson, carlos gonzalez, Carlos Pena, chris carter, Chuck Booth. fastest 30 ballgames, coco crisp, connor robetson, dan haren, daric barton, david Dejesus, derek norris, eric chavez, eric sogard, frank thomas, gio gonzalez, grant balfour, huston street, ian krol, jack cust, jason giambi, jed lowrie, jermaine dye, john jaso, johnny damon, josh donaldson, josh willingham, kansas city royals, kurt suzuki, Los Angeles, mark Mulder, michael, Miguel Tejada, mike piazza, mike sweeney, moneyball, nate freiman, new york yankees, nick swisher, nomar garciaparra, o.co coliseum, oakland athletics, rich harden, Sacramento River Cats (PCL), san francisco giants, seattle mariners, shane pederson, shannon stewart, st louis cardinals, stephen drew, tim hudson, tommy milone, travis buck, trevor cahill, twitter @chuckbooth3024, washington nationals, yoenis cespedes. Bookmark the permalink. Leave a comment.